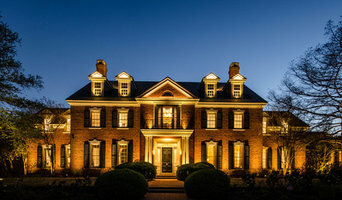 Delta Outdoor Lighting specializes in the latest LED technologies. Our approach is coupled with professional design, low impact installations and an attention to detail. As we extend our living spaces to include outdoor rooms, it seems natural to want outdoor audio and visual systems. Sound system professionals in Austin, TX can install state-of-the-art wireless weather-resistant music systems anywhere you want to add music to the mix. What services do Austin outdoor audio and visual system professionals provide? Home theaters are moving outdoors, too. Sports fans can grill without missing the game, and families can invite neighborhood friends over for movie nights. Special weatherized flat-screen TVs are coated to minimize glare. 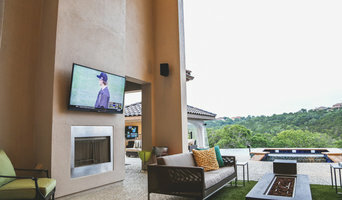 Imagine your Austin, TX backyard with a custom-designed outdoor theater system — complete with a large projection screen. It makes backyard entertaining easy. Find outdoor audio and visual system professionals on Houzz. 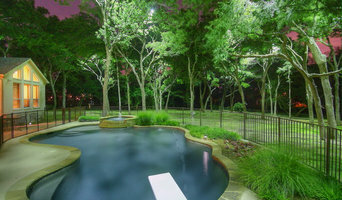 Look in Houzz’s Professionals section to find Austin, TX outdoor audio and visual system experts. Narrow your search to the nearest city or metro area for a list of nearby businesses. Get contact information, read reviews and look at completed Texas custom outdoor sound system projects.